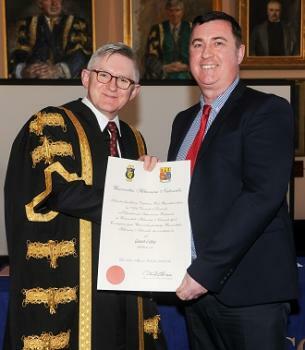 Congratulations to Dr Ger Coffey (Course Director of the LLM/MA in Human Rights in Criminal Justice and member of the Centre for Crime, Justice & Victim Studies) who recently graduated with a Postgraduate Diploma in Teaching and Learning in Higher Education (PGDipTLHE) from University College Cork. The PGDipTLHE (Course Portfolio) builds on the Postgraduate Certificate in Teaching and Learning in Higher Education PGCertTLHE (Teaching Portfolio) previously completed. 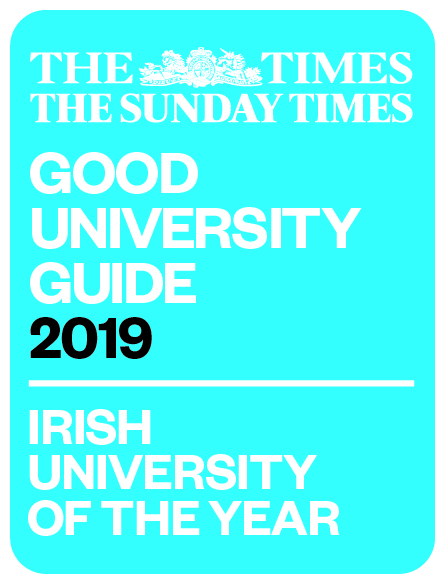 Ger is currently writing a dissertation for the MA in Teaching and Learning in Higher Education (Investigative Portfolio), which focuses on the impact of field trips to criminal justice institutions as transformative educational events that bridge the theory-practice gap for human rights and criminal justice students. Pictured: Professor Patrick O’Shea, President of University College Cork and Dr Ger Coffey being presented with his parchment.